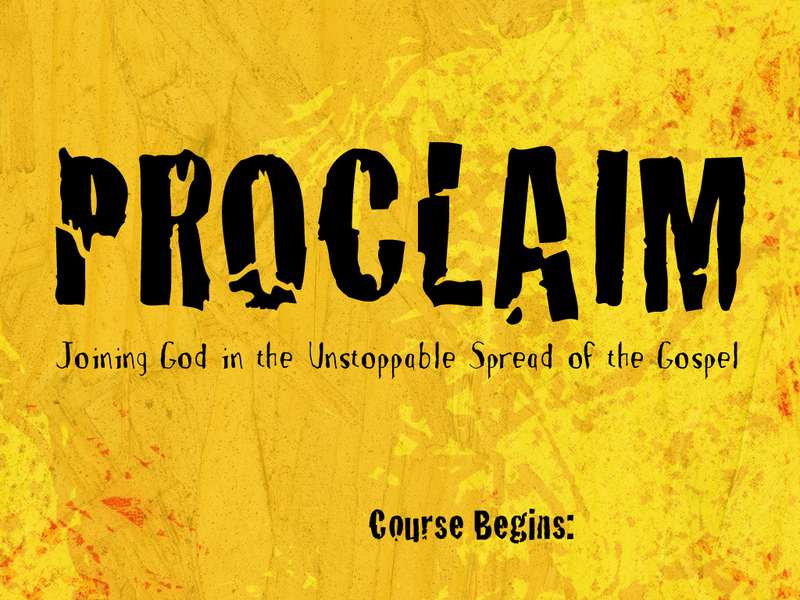 PROCLAIM: *What is Proclaim and how is it run? 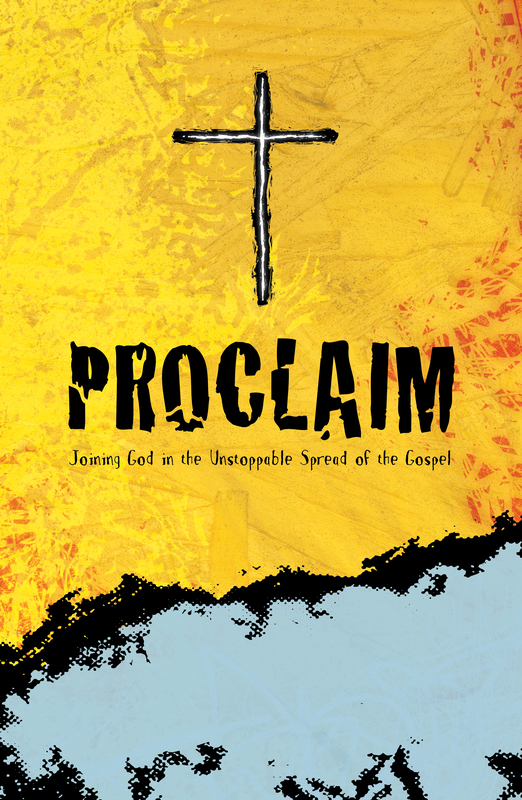 *What is Proclaim and how is it run? Can I Copy the DVD? Want to share your faith buy don't know how? 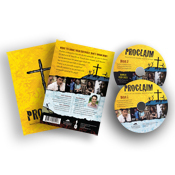 The Proclaim course is a DVD-based evangelism class designed to help everyday Christians like you grow in sharing the good news of Jesus Christ. Through seven sessions you'll discover how to communicate the gospel more clearly and how to trust God more fully in evangelism. 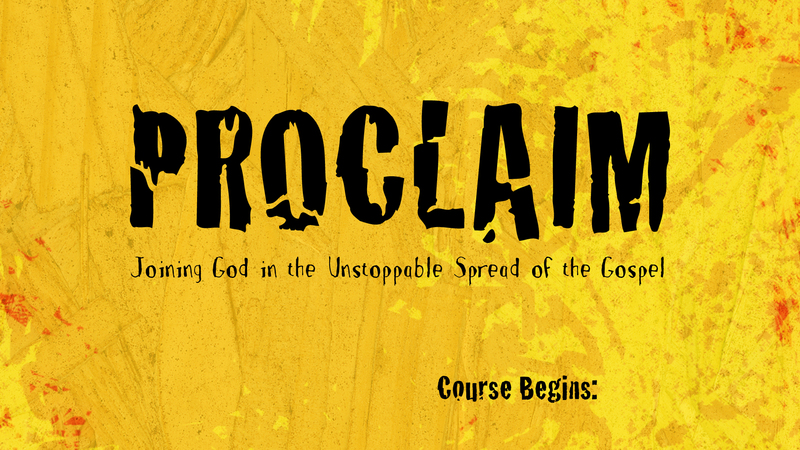 Prepare to be practically equipped and biblically motivated as you join God in this unstoppable spread of the gospel! Many evangelism courses have been designed to be run as a special seminar (e.g. weekend workshop). While Proclaim can certainly be offered this way, we have designed the materials to be run through your church's small group structure. Every small group gets their own DVD and every member would get their own Proclaim "Training Kit." Discussion questions and homework assignments are included at the end of every session. Consider taking all of your church's small groups through the course simultaneously in one church-wide "Proclaim Campaign." If your church doesn't offer small groups, the class can also be run within Sunday School classes or Youth Groups. The benefit we've found of doing Proclaim within these pre-existing structures is three-fold. Keeps the church calendar less busy. Brings evangelism into the normal relationships, fellowship, and accountability already formed in the church. This reinforces the value that evangelism is a spiritual discipline and normal for every person in the church. Allows everyone to get the class. Usually seminars or elective classes are attended by those interested in the seminar's topic. Therefore if you offer Proclaim as an elective the people most likely to take it are the ones who are already passionate about evangelism and already doing evangelism. The people least likely to take it are the ones you want to influence the most.